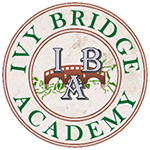 Prepare for the SAT test in Alpharetta, GA 30022 with our Ivy Bridge Academy SAT Tutoring & SAT Test Prep / ACT Test Prep for high school students. The SAT test is a critical part of whether the college acceptance letter from your student’s university of choice is an acceptance or a rejection. Our SAT test prep courses are taught by the best experienced Math and English education professionals with years of experience in preparing high school students for collegiate excellence. Our IBA SAT test preparation center in Alpharetta / Johns Creek, Ga. is convenient to all the high schools in the east North Fulton area, including Milton High School, Alpharetta High School, Independence High School, Chattahoochee High School, and Roswell High School. Help students familiarize themselves with the test material and what to expect to reduce “SAT Test shock and anxiety”. Our SAT Test Prep / ACT Test Prep Courses are available in two group and one private lesson formats. You can choose to prepare for Reading, Writing, & Math, or just Math for SAT & ACT. If you prefer even greater flexibility in topic and schedule, you can opt for our SAT/ACT Private Lessons which runs for 40 hours of one-on-one instruction. Should you have any questions, please feel free to contact us by using the contact form below or calling 404-519-7715, Susan Rhee, Administrator, Ivy Bridge Academy, Johns Creek, Ga. Campus. Empowering students through education is the Ivy Way. Contact us with any questions about the IBA SAT Test Prep / ACT Test Prep & Tutoring, or with any other comments you may have. We thank you for taking the time for your children, who are our future!